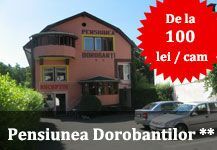 Grigorescu district is in the north-western city of Cluj Napoca, located on the Riverside of Somesul Mic near Hoia Forest. The district is connected to the rest of the city by bus, running at a high frequency. 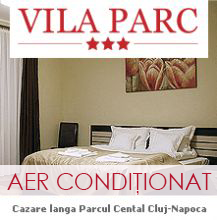 There are many tourist attractions such as the Ethnographic Park Romulus Vuia, Hoia Forest or the headquarter of Cluj Napoca Romanian Television Company. Romulus Vuia Ethnographic Park was established in April 12, 1929, being an open-air section of the Ethnographic Museum of Transylvania. It is the first open air museum in Romania, located in the Hoia forest. The park is divided into two thematic areas "Technical installations and workshops" and "Zonal types of households and monuments of folk architecture", comprising 13 households with 90 special characteristic areas Apuseni Mountains, Nasaud, Bistrita, Transylvania Plain, Maramures, Szeklerland, Zarand, Alba Vineyard, Country Oas, 34 installations peasant, 5 workshops, three wooden churches and a cemetery gate. Hoia Forest is one of the favorite leisure spots of Cluj inhabitants. Forest vegetation is very diverse, there can be admired species of oak, hornbeam, elm, wild cherry, blackthorn or shock. Among the species of animals in Hoia forest are green lizard, mouse hare, deer, weasel, woodpecker and wild boar. In recent years here was arranged a Bike Park, and there are a practiced other sports like paintball, airsoft and archery. 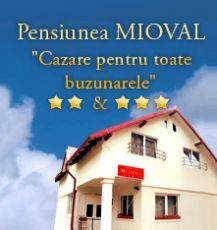 In the area you can find restaurants with traditional Romanian dishes and with international influences, shopping centers, green areas, playgrounds for children and hotels and pensions offering accommodation in quiet areas and services of the most diverse.